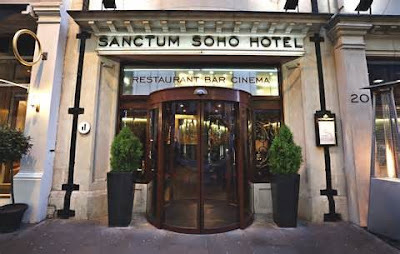 Karma Sanctum Soho Hotel, located in the heart of London’s buzzing West End, is the latest in a succession of luxury boutique hotels to enjoy an increase in revenue and ADR following the implementation of Guestline’s web based property management and distribution systems. Previously incurring problems with their on-premise solution with failed servers and restrictive access, the team were keen to implement a more reliable, cloud hosted system to assist in the day-to-day management of the hotel. The hotel wanted a more efficient, multi-functional property management system that seamlessly integrated with a channel manager and online booking module from a company that provided a more prompt, UK support facility. “Our hotel operations have improved remarkably since we switched to Guestline’s systems. We have become more efficient and we are generating more revenue as a result. All our processes are now automated and help us save time and money - our staff have more time to dedicate to other areas of the business to improve the customer experience. By managing rates and channels more effectively, ADR and occupancy has improved and we have boosted sales of added-value products. The hotel’s average daily room rate has increased by £30 since the system was installed (1 and ½ years ago) going from an ADR of £170-185 net to £200 net. The hotel can now manipulate rates to drive revenue during peak seasons and have the ability to flex the rates instantly. Any changes are made in real-time and reflected online immediately. They can also change the room descriptions and photos to attract better rates. With average occupancy of 85% across the year, their average monthly revenue budget has increased by 15-20%. Sanctum Soho are now able to take advanced payments online through a secure, PCI compliant gateway. Which means by taking a credit card number at the reservation stage, the hotel can also charge for no-shows, eradicating any lost revenue. Guest communication has improved with booking confirmations automatically being delivered to guests. Pre-stay emails (promoting upsells and special offers) and post emails (with incentives to return) are sent to guests and, with the in-depth reporting function, it is easy to forecast and plan rates and restrictions accordingly. The end of the day reports drill down to minutiae detail and have been set up bespoke to the hotel’s requirements. Karma Sanctum Soho Hotel implemented Guestline’s Rezlynx PMS, Channel Manager, Online Booking Manger and EPoS. You should navigate here to learn why homework is such an important thing!